The Kodak Alaris i4250 Scanner is built to stay busy. Busy mailrooms, production departments and service bureaus have relied on the Kodak Alaris i4250 scanner for years to deliver a valuable combination of quality, productivity and affordability. This production document scanner is designed to keep pace with the most demanding jobs and is a great choice for plowing through hours of uninterrupted scanning. Equipped with Perfect Page image processing, the scanner produces crisp, clear images even from challenging originals. Its exclusive paper feeding technology captures virtually any document in almost any condition for unbeatable reliability. Multiple layers of document protection safeguard your documents and Smart Touch technology makes multitasking easy. Features in the Scanner Intelligent Document Protection with 3 sensors, metal detection, interactive Operator Control Panel (OCP), barcode reader, interactive multifeed ignore with image display on host, Intelligent Imprinting (patch counting), streak filtering, controlled stacking, Perfect Page technology, iThresholding, automatic color detection, autocrop, image edge fill (black or white), aggressive crop, deskew, content-based blank page detection and deletion, multi-color dropout, hole fill, dual-stream scanning, automatic orientation, color-on-the-fly toggle patch, and much more. Download the complete Kodak Alaris i4250 Scanner Specifications here. 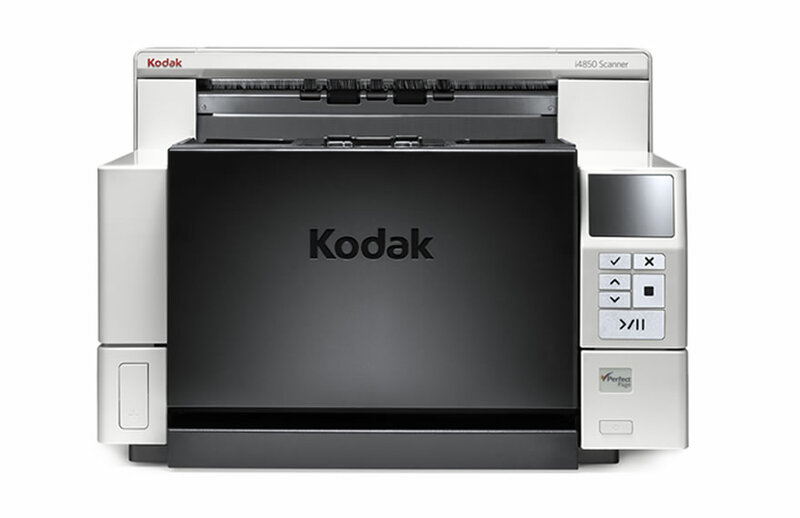 Explore other production document scanner models in the Kodak Alaris i4000 Series here. The control panel functions let you stay with the scanner instead of moving back and forth to the computer. Quickly choose to accept, ignore or rescan images before sending to the application. With Kodak Alaris’ Smart Touch technology you can perform up to nine different scanning tasks with the push of a button — including creating PDFs, attaching documents to e-mails, or sending scanned files to Cloud services.